Steve is a paleontologist who studies the fossil record of human evolution, especially that of early members of our genus (Homo) that lived between about two million to ten thousand years ago. Much of his work has focused on the Neandertals, an extinct species that lived in Europe and western Asia during the Ice Age, and that went extinct about thirty thousand years ago. Dr. Churchill applies principles of biomechanics and functional morphology in his analyses of the bones of these early humans, in order to make inferences about their adaptive strategies, ecology, and energetics. Along these lines, he is particularly interested in the nature of the hunting methods and technology that these earlier groups employed. 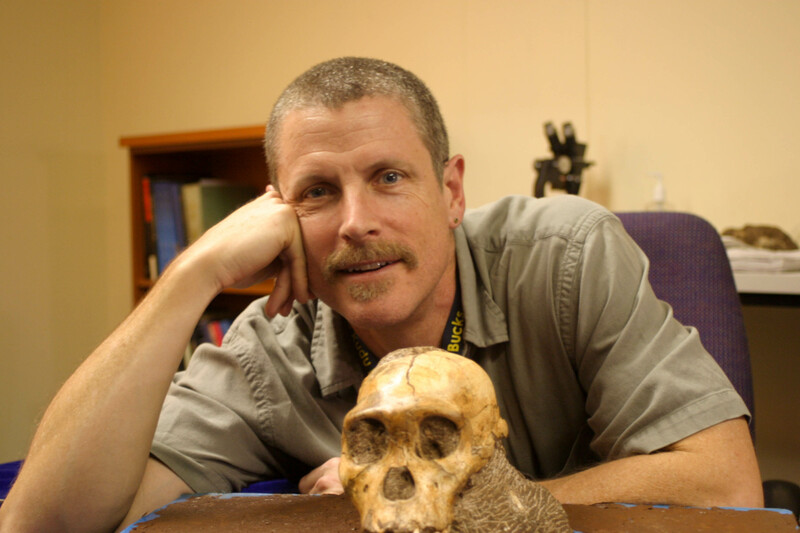 Dr. Churchill is also a member of the team that discovered and described a new species of early human, Australopithecus sediba, from 1.98 million year old deposits at the site of Malapa, South Africa. This team has recently recovered a very large number of human fossils from another South African cave system (known as Rising Star), which they are currently working up for publication.